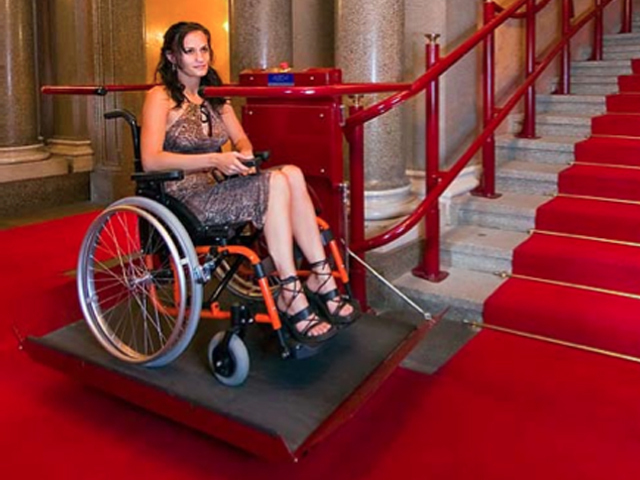 All wheel chair lifts come standard with many safety features. 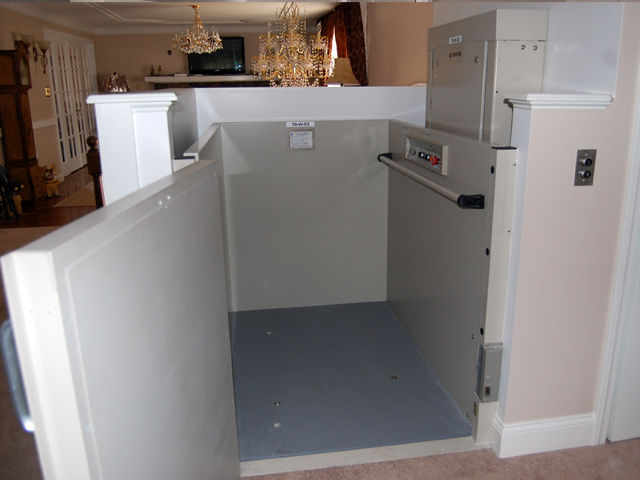 With vertical and inclined options available, Nationwide Lifts' Apex Wheelchair Lifts create an effective mobility solution. Wheelchair and motor scooter users can move between floors with ease, all without a ramp, while solid design and safety features create a dependable ride from one landing to another. 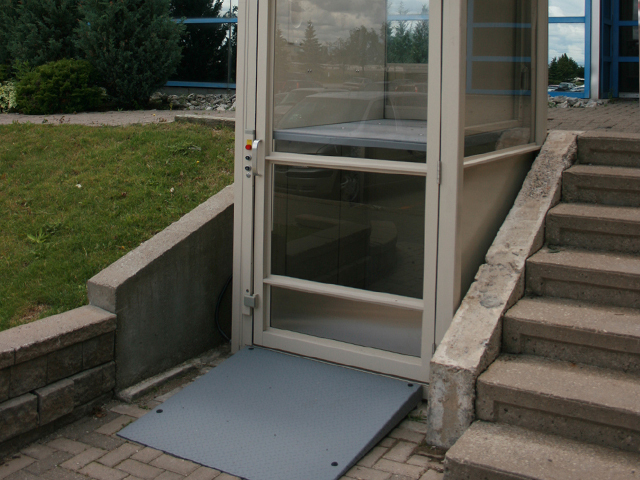 All vertical Apex wheelchair lifts operate with one of two possible mechanisms: a screw-drive or hydraulic system. Skid-free 36"x54" platforms (other sizes available) provide sufficient support for up to 750 pounds while moving in a vertical motion between two landings. 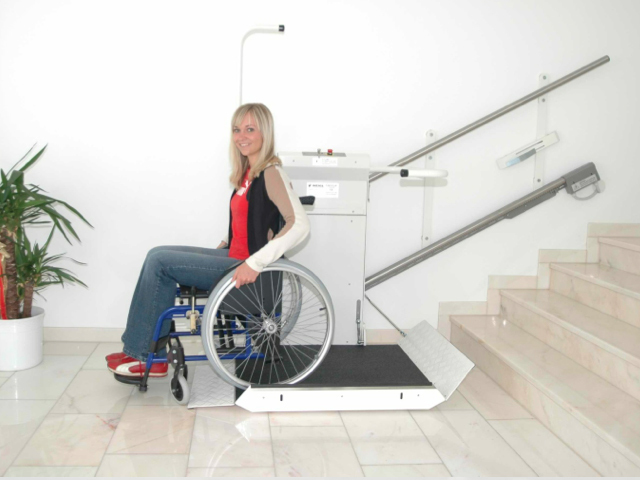 Nationwide Lifts' Delta and Omega IPL (Inclined Platform Lift) models both support up to 550 pounds (the Delta further goes up to 660 pounds) while operating with a track along a staircase. Non-skid platforms fold up at both ends. 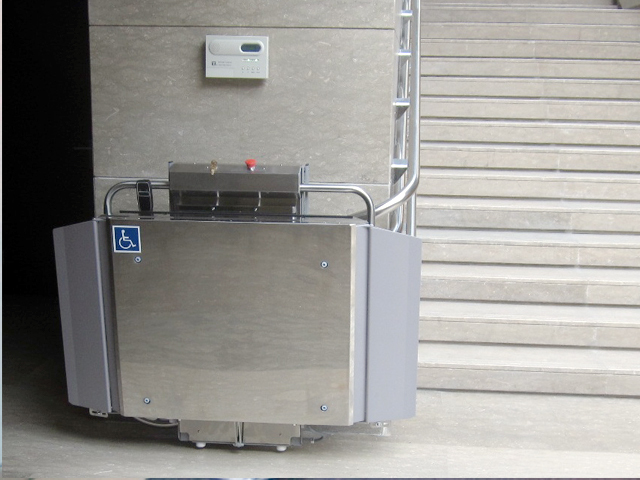 Depending upon where you need to go and accessibility needs, the Delta IPL can extend a maximum of 82 feet on straight staircases, and the Omega a distance of 164 feet on curved staircases and outdoor applications. Create a clear path between two landings with the Apex Green, a screw-driven vertical wheelchair lift. This system ascends to a maximum height of 14 feet, and is ideal for outdoors. Installation does not require a pit or machine room. This hydraulic vertical lift offers a smooth ride over a distance up to 14 feet. Installation does not require a pit or machine room. For operation, the Apex Hydro’s 36”x54” platform supports up to 750 pounds. 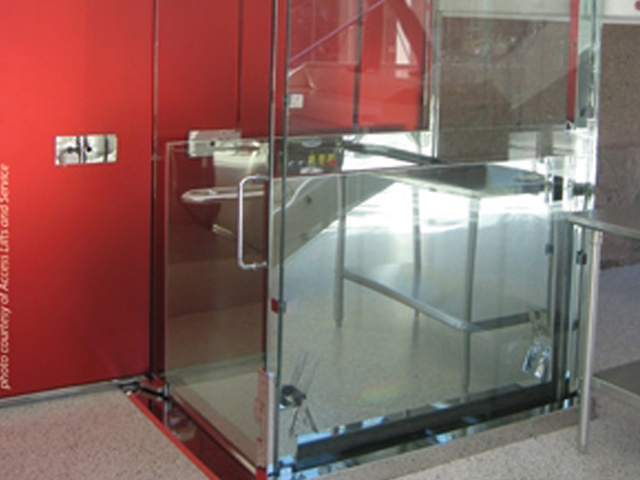 Nationwide Lifts takes an Apex Green or Apex Hydro system and adds a full enclosure around it. Traveling a total distance of 14 feet over 2-3 stops. 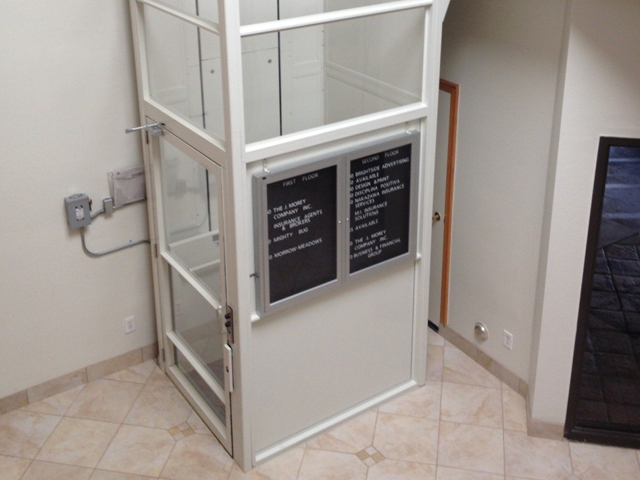 The enclosed lift consists of corrosion-resistant aluminum frame and painted steel, clear acrylic, or tinted acrylic panels. Our most luxurious design encloses a vertical lift with a stainless steel and glass panel hoistway. Customization is an option. 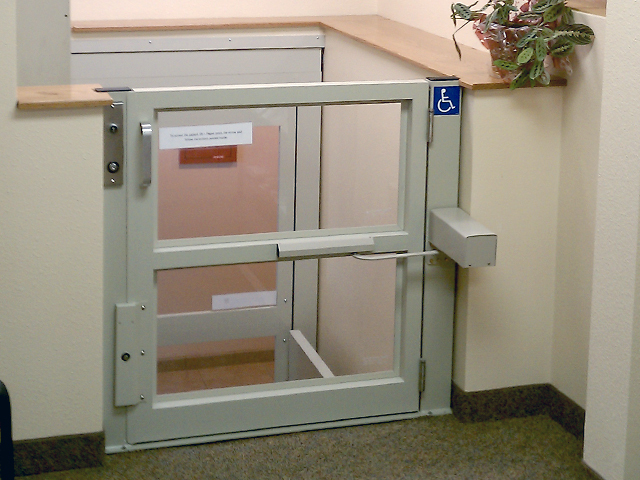 If you're looking to add improved accessibility to a high-end hotel or building, this lift's appearance and functionality make it a perfect fit. 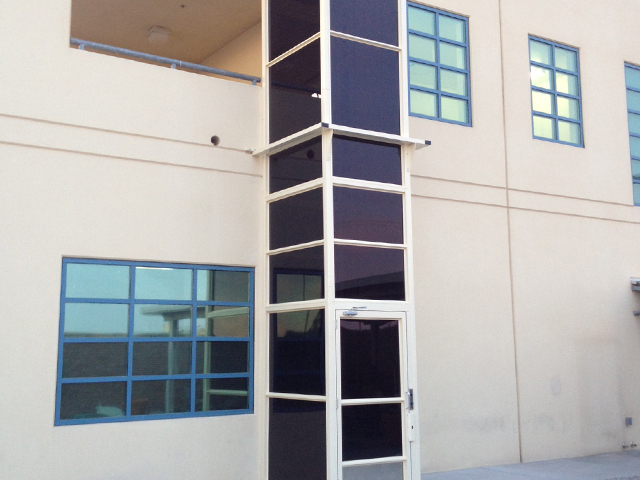 This Inclined Platform Lift is intended for straight staircases in public applications. 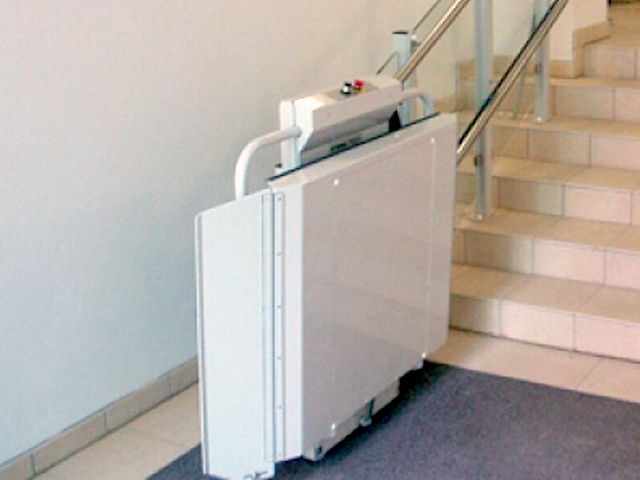 The standard 30-inch by 49-inch platform (other sizes available) folds up automatically at both ends, the Delta IPL presents a practical solution for moving between interior floors without building an elevator shaft. This system that supports 550 or 660 pounds travels a maximum distance of 82 feet along a staircase. 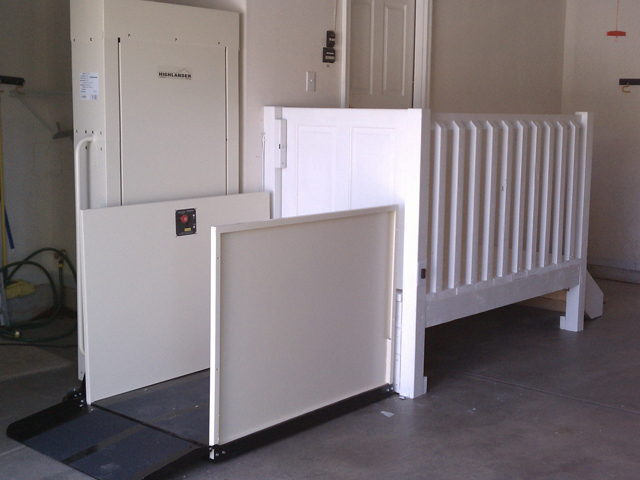 This unit is intended for staircases with turns or mid-landings. It is also capable of parking the platform around a corner and out of the way. 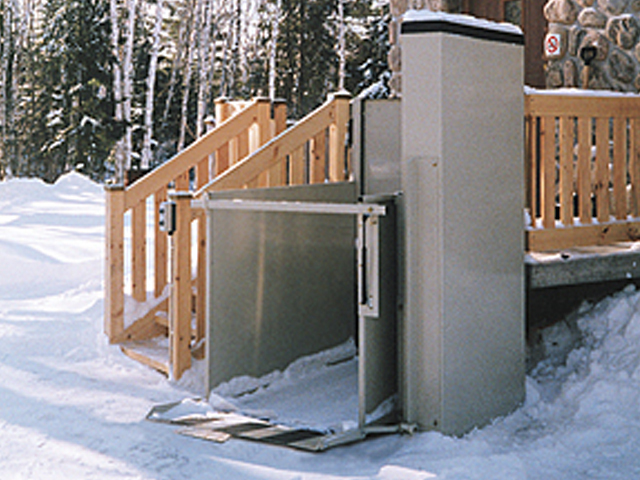 A cable-drive system propels this inclined wheelchair lift, equipped with a 550 pound-supporting 30-inch by 49-inch platform (other sizes available). An asset for buildings requiring improved mobility, it travels up to 164 feet over multiple levels. This unit may be installed outdoors as well.